Do you dare to FIND VOODOO? 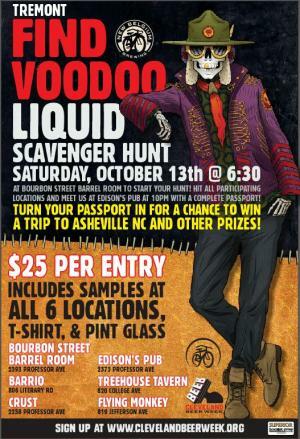 Find the tastes of New Belgium Brewery on the Liquid ‘Scavenger Hunt’. Check in at Bourbon Street Barrel Room to have your first taste of NB beer, receive a special limited edition t-shirt and your passport to find your next tastes. 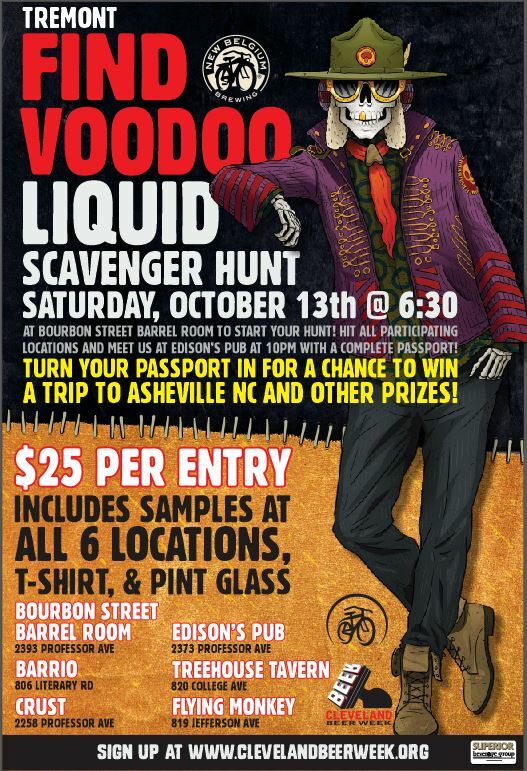 Finish up at Edison’s, grab a slice of pizza, chill out to Stormy Monday Blues Band and turn in your passport to receive a pint glass and be entered in a drawing* for fabulous New Belgium prizes. Advance tickets are required at $25/person including 6 4 oz. beer samples. Must be 21 years of age. Proceeds benefit Malone Scholarship Program.